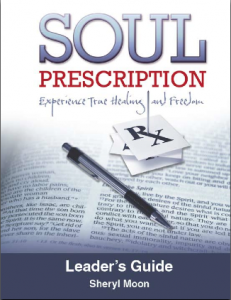 Soul Prescription is a book designed to help God’s children deal with the crucial matter of sin and holiness. It helps people find the freedom they’ve been seeking from a web of destructive habits. It offers hope to those who seem engulfed in an endless cycle of trying to change but continually falling back into sin. With a unique, methodical, and biblically based approach to eliminating sin habits, this group Bible study will help participants evaluate their behavior and attitudes in light of God’s standards. As the authors gently lead participants through the process of turning away from debilitating habits, they will be free to embrace Holy Spirit-empowered virtues. God longs to see everyone living in the joy and freedom that He promises in His Word. Download our free Leader’s Guide. Purchase books for small group participants.